Disclosure: This event and trip to LA was an all expense paid journey sponsored by Disney. All thoughts, experiences and opinions are 100% my own! 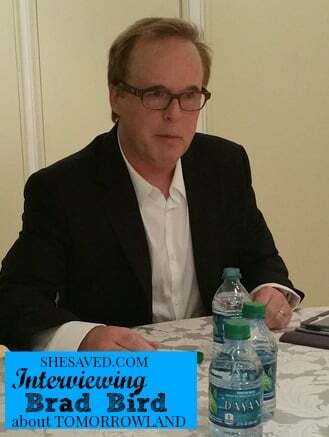 I was lucky enough to interview Brad Bird (TOMORROWLAND Director/Producer/Writer) earlier this year before TOMORROWLAND hit theaters. You can read my interview with Brad Bird and Damon Lindelof here. It was really neat to sit down again with Brad just a few short months later, and talk about this movie again. I had many more questions this time because I have seen the movie several more times and each time that I watch this film, I discover something new. The basis of our conversation revolved around the notion that it is “the dreamers” that bring change and innovation and all of these different and exciting new forms of technology, etc. 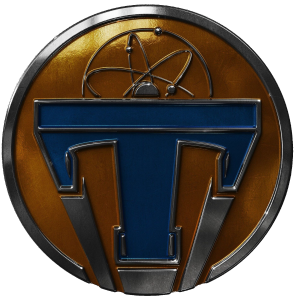 With the dvd release of TOMORROWLAND (tomorrow, October 13th!) it was a great time to sit and chat about just how relevant the dreamers really are in our world. I’m happy to say that I am one of them, and it was really clear to me that Brad is too. One of my favorite parts of the interview was when Brad was explaining his hopes and goals for future projects. One thing that is he passionate about is telling stories, and he wants to make more movies, but he wants to bring showmanship back into film. Different kinds of theaters, distinctive buildings and settings, and presenting movies in grand fashion. He reflected on the way that theaters used to share a movie and how each one had it’s own different style. I have to agree, it would be really neat to see more of that come back into theaters all across the country. 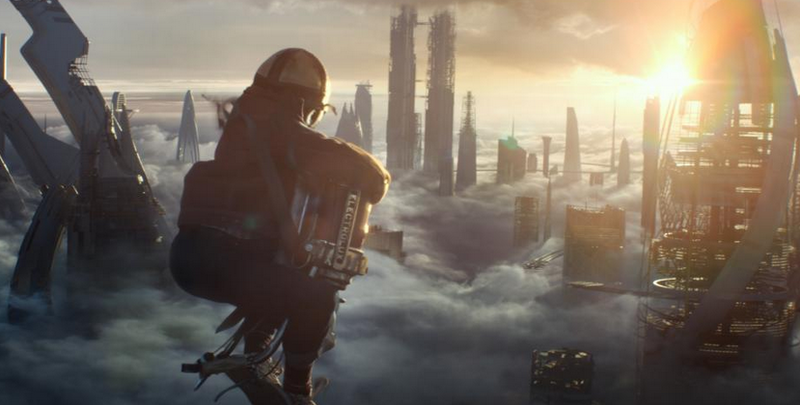 The TOMORROWLAND dvd has some great bonus features. If you have already seen TOMORROWLAND, then you are familiar with the scene where young Frank enters the It’s a Small World ride. Brad explained that they had originally intended to make that a bigger part of the film. That there was to be a structure for the ride that was going to be underneath the It’s a Small World ride. He explained, “But when we started to flush it out and the idea was that it was gonna’ be a ride that would present all this information, and young Frank was getting educated on Plus Ultra. But it ended up being you’re watching a kid watching a ride and that’s just not a good use of screen time. So we ended up cutting it, but we still had the film that we used as the arc type and we showed it in about 10 or 20 theaters and everyone that saw it liked seeing it, they liked knowing about it. So I put it on the Blu Ray and it will offer it up to you when you watch it. And if people watch it first it might add a little context to the story.” That seen was one of my favorite parts of the film, so I was very excited about this bonus clip. Overall, Brad is such a great interview. So full of excitement and energy for these projects and you can truly tell that he loves his work. I am so excited to see what amazing things he will do in the future. Speaking of the future…. 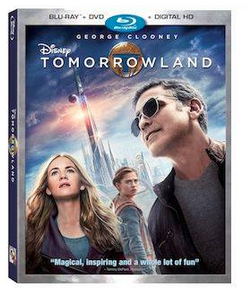 TOMORROWLAND will be available on Blu-ray, Digital HD and Disney Movies Anywhere on October 13th!! 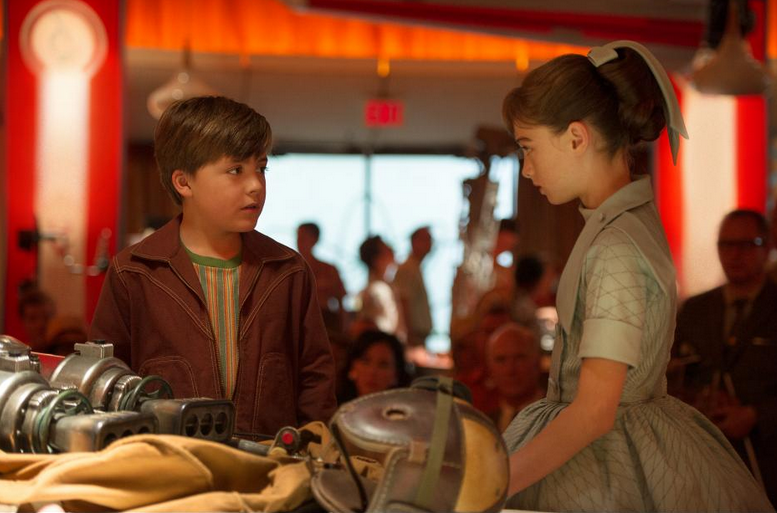 You can pre-order TOMORROWLAND on Amazon now! AND … a very, very special thank you to the folks at Disney for this wonderful and once in a life time opportunity that I will NEVER forget! « K-cup Coffee Sale: HOT Deal on Apple Cider and Pumpkin Spice! !